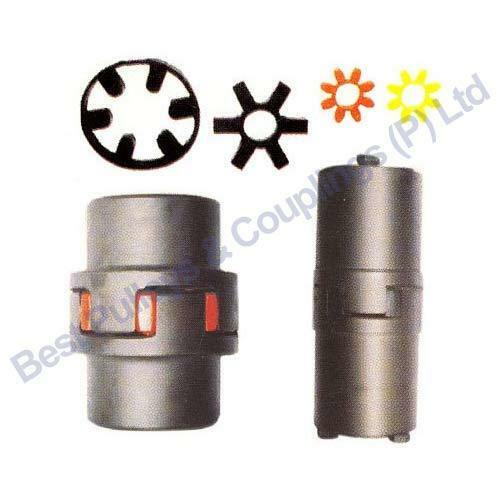 Jaw Couplings manufacturers in chennai. in Chennai, India from Best Pulleys & Couplings (P) Ltd.
Best Pulleys & Couplings (P) Ltd. We are one of the prominent manufacturer, exporter and supplier of an extensive range of Pulleys and Couplings .In addition to that, we also excel in manufacturing a comprehensive range of Sprockets. Jaw Couplings manufacturers in chennai. We, Best Pulleys & Couplings (P) Ltd.offer one of the industry’s largest ranges of Jaw type Couplings of bore/keyway amalgamations, which need no lubrication and give best and reliable service for light, medium, and heavy-duty electrical motor and internal combustion power transmission applications Features and Benefits Fail-safe - will still perform if elastomer fails -No metal-to-metal contact Resistant to oil, dirt, sand, moisture and grease More than 850,000 combinations of bore sizes Most types available from stock in.24-hours Applications Pumps Gear Boxes Compressors we are the manufacturers of Jaw couplings manufacturers in chennai.